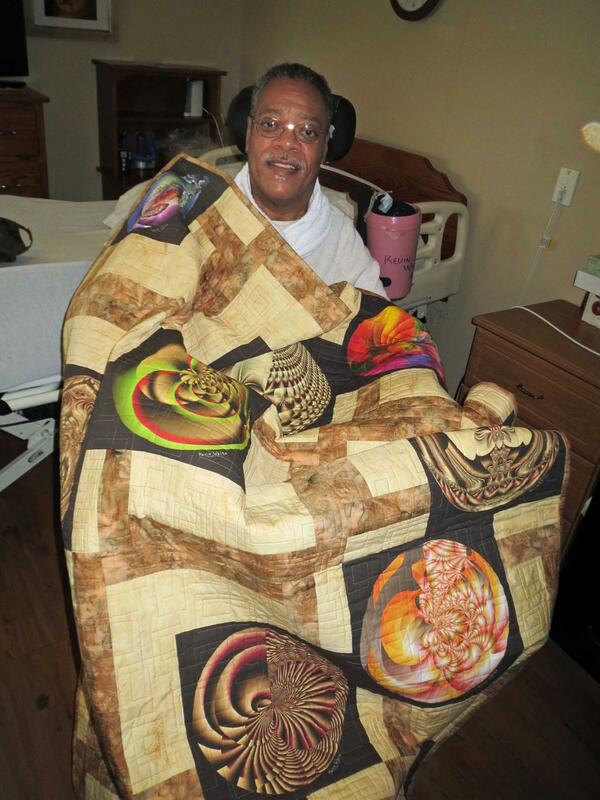 Don Densmore printed 12 of Kevin's art pieces on quilting cloth and his cousin June Messenger, a gifted quilter made him his first quilt. 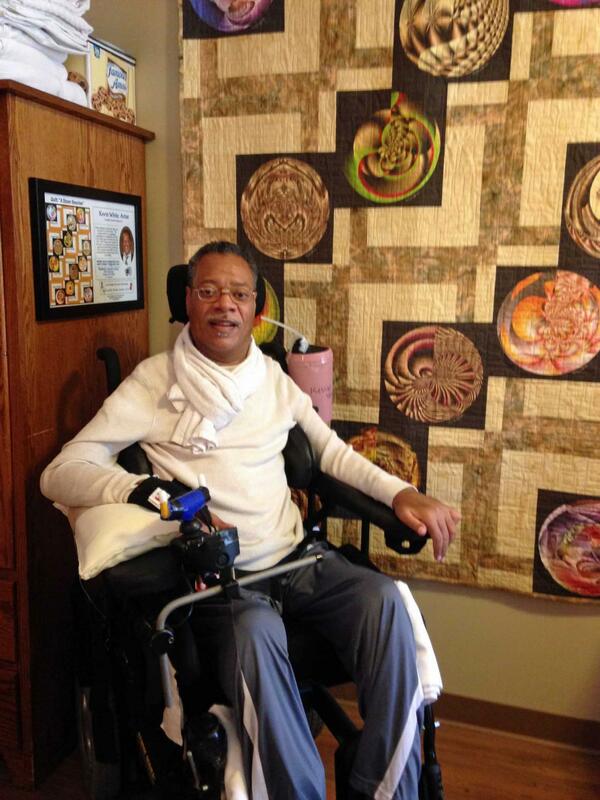 The quilt is 54 inches wide and 72 inches tall, it is entitled "A Dozen Beauties" and is displayed on the wall in his room at Saybrook Landing in Ashtabula, OH. 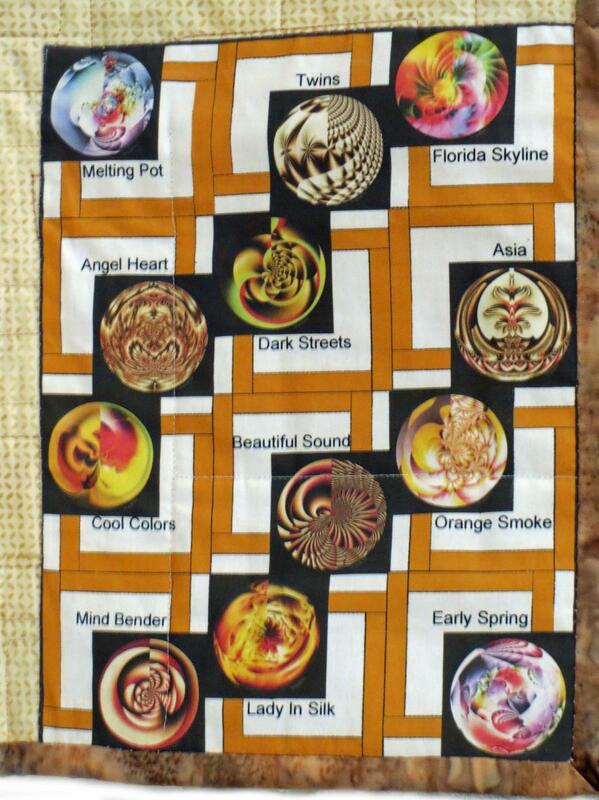 It will be on line at maria@quiltsforsale.ca. 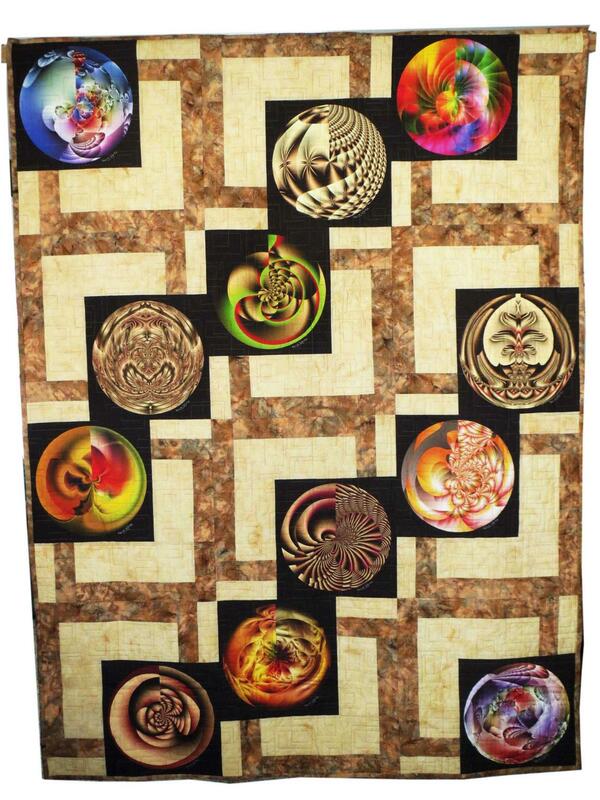 This quilt will not be for sale, but a duplicate quilt may be ordered, or a specially designed quilt may be orded including circle and/or rectangle pieces of Kevin's artwork invarious sizes. 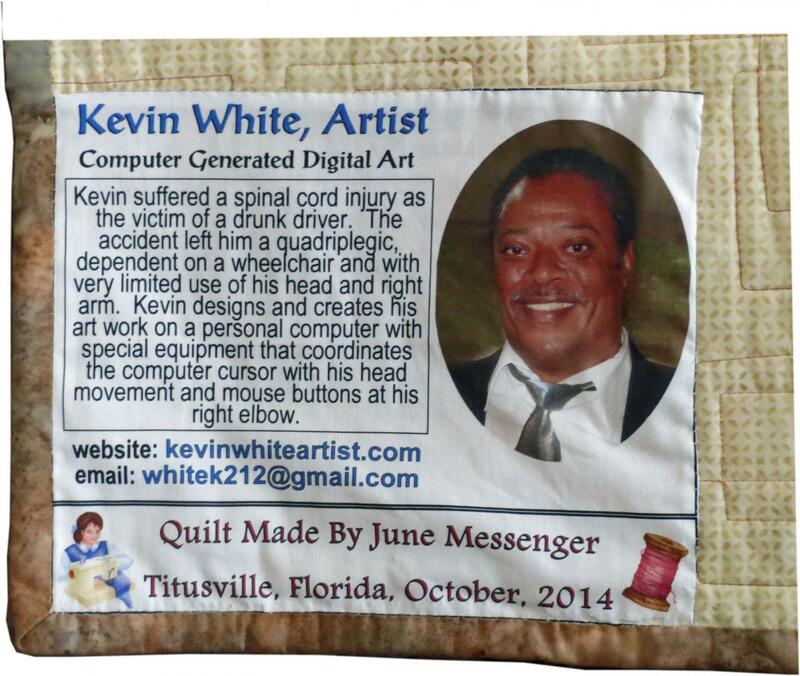 We anticipate that the cost of a quilt, depending upon the size will be between $1,000 and $2,000. Please contact Don for more information.